Less than two miles from downtown Greenville and new developments including Main and Stone, this location has so much to offer. 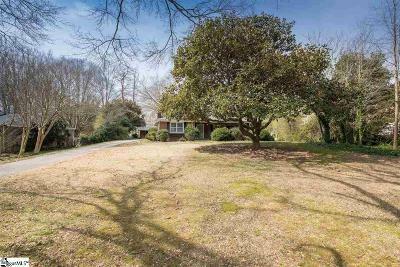 This three bedroom and two full bathroom brick ranch sits on a large half-acre lot on a wide, quiet street. Hardwood flooring runs throughout the spacious living areas and bedrooms. Character and charm will be found throughout the home. The large fenced in backyard offers a patio with a built in fire pit along with a vegetable garden. Ample storage is available in the detached carport with adjoining workshop. Enjoy all of the space and privacy offered here while still living minutes from downtown.